The goal of the metatarsal fracture fixation (open reduction and internal fixation) procedure is to correct a fracture of one or more of the long bones of the foot, called the metatarsus. These bones are analogous to the metacarpal bones found in the hand. During this procedure, the surgeon will stabilize the bones with a variety of hardware in order to allow the bones to properly heal. To prepare for this procedure, a patient is correctly positioned on an operating table and undergoes anesthesia.The surgeon will then create one or more incisions on the outside or top of the foot in order to access the metatarsals that have been fractured. Next, the surgeon will realign the bones and stabilize the fractures using screws and other hardware. 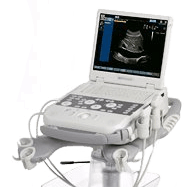 The surgeon has the option to choose from a variety of screws and rigid plates or wires. Depending on the fracture, a surgeon could use one or two plates with a number of screws in each in order to fix a number of different fractures within the metatarsus. 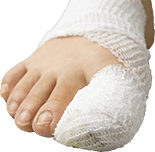 Once the procedure is successfully complete, the incisions are sealed and the foot is properly bandaged and placed into a splint. It is highly recommended that the patient does not bear any weight on the foot for approximately six to eight weeks. A walking brace or boot might be necessary before the fractures are completely healed. There are many different excerises that a patient could do either at home or at a physical therapy office in order to help regain strength after a metatarsal fracture fixation surgery. There is even some safety footwear available for patients, with removable as well as built-in metatarsal guards to help protect from further injury.